Happy Saturday Paper Peeps! Having a super quiet morning here at the old house. The boys have gone camping and it’s just me and the kitty cats. We’ve slept in a bit (6am) and enjoyed a lovely french roast and watched some art journaling videos. I’m taking a break from my break to share a project created for Graphic 45 with the new Children’s hour…I have it on so many projects I think I better order more because it’s so fabulous I want to use it for everything! Winter Trunk with Tags. Hey there Peeps! I’m dropping in to share a really Western Inspired project today. Yes I know it’s a bit different than my usual style…but I had so much fun altering the chipboard and layering it with patterns papers and embellishments. To view a step by step tutorial on how I altered the chipboard for this project please visit the Gypsy Soul Blog. Ranger~Perfect Pearls -Bisque & Dark Chocolate, Stickles-Waterfall, Distress Ink-Walnut & Black Soot, Texture Paste-Opaque Matte, Mists-Blue Patina & Bronze, Glossy Accents / Faber Castell~Gel Medium / Art-C ~ Metallic Silver Paint, Gel Stain-Chestnut, Texture Paint-Copper / Americana~ Raw Umber Acrylic Paint / Folk Art~ Licorice Acrylic Paint / Spectrum Noir Markers~B2 & B9 / Color Box~Decades Dark Cashmere Ink / Memento~ Tuxedo Ink / Studio G~Clear Glitter Glue / Canvas Corp Brand~Boots & Saddle on Kraft, Sayings on Ivory, Burlap.7 Gypsies~Ordre Du Collection~ Days, Weeks, Months / European Collection-Hoagie / Finnabair~Elementals Stencils- Chicken Wire, Ripped Fishnet/ Clear Stamp-Messy / Pro Art~Canvas Primer Gesso / Crafter’s Companion~Stamp It Australia Dreamer- Once In A Life Time, Textures Stamp Set Splats and Stains. Oh my stars Peeps! This is a super fabulous day for me. Graphic 45 and Petaloo are having a blog hop. For day 3 I’m sharing the project I created with Graphic 45’s Children’s Hour patterned papers and the gorgeous flower from Petaloo. Which you all know is my favorite!!! 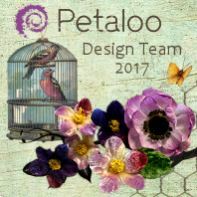 Make sure to stop by the Graphic 45 and Petaloo Blog to check out all the beautiful projects and find out how you can be entered for a chance to win an amazing prize. That sweet little bow is created with Satin Sherry Ribbon topped off with a Red Sweetheart Blossom. There’s also a Red Cosmo to anchor the bottom. This is a walk on the wild side for me and I had so much fun creating. Hey there Peeps! I’m just dropping in to share a sweet and very Valentiny wall hanging. This was supposed to be my get up and get moving morning….however I slept in til 7am..OMGosh I never sleep that late….. Anyhoo can’t stay and chat..there’s too much to do now that I’m rolling 3 hours behind. Valentine Greetings Wall Hanging. Isn’t this just tooo adorable??? Loved that little frame before..but after painting it? Swooning! Question….how many flowers can Ginny add to a wall hanging? Answer…a lot! 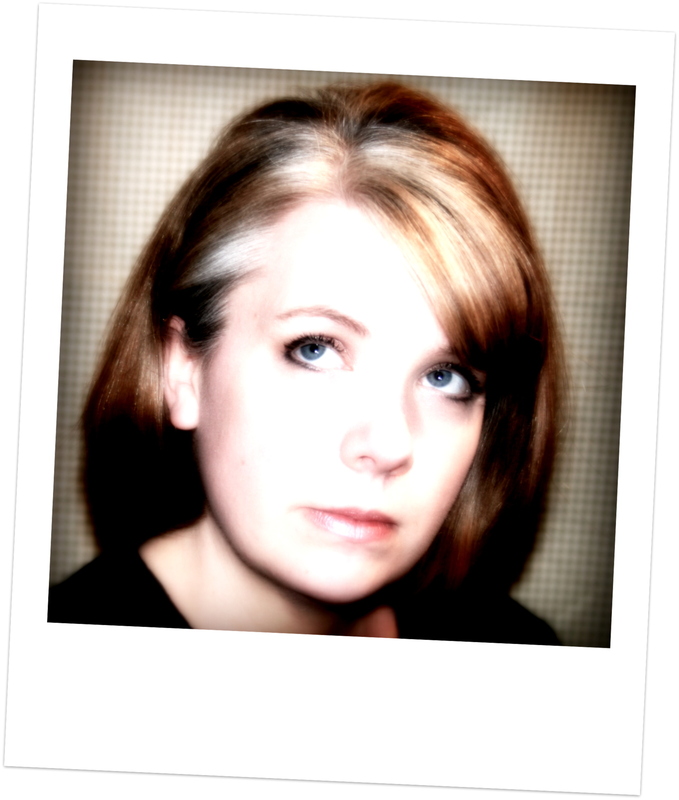 And check out that vintage buttons….you can never find that shade of pink now. Cutie patootie tiny banner in the corner. More actual vintage buttons tied into a super poofy bow with more flowers and ruler ribbon. Hanger of chevron ribbon to make it easy to display. Really Reasonable Ribbon Supplies~ Chevron Striped Twill Pink, Sweetheart Blossoms Pink, White Magnolias, Pink Cottage Roses, Pink Spiral Stamens, Ivory Burlap String, White Chrysanthemums. Polly’s Paper Studio~Valentine Greeting Wall Hanging. Woo hoo it’s time for a new challenge Peeps! 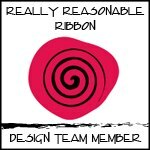 And it’s a Show Me The Pink Challenge at Really Reasonable Ribbon which makes it even more awesomer!!!!! Can you tell I’m excited???? I created an Every Picture Tells a Story Wall Hanging. It is vintagy and girly and flowery and chipboardy and ribbony. The inspiration behind this project was a charming Vintage Photo Chalkboard image from our very own shop. I’ve been wanting to use it for quite some time…..and this was the perfect opportunity. A mix of pretty and oh so girly flowers from Really Reasonable Ribbon and Petaloo coordinate perfectly with the image and generously fill in the corners. There’s some painting and stamping to soften the graphic pattern of the background paper and an extra smudge of pink ink then topped with pearly accents. This vintagy treasure hangs on a nice length of Pink Chevron Ribbon. 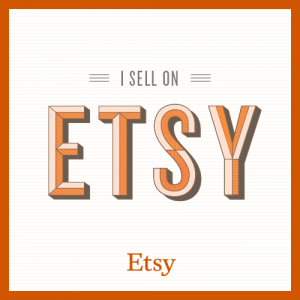 It has a super sturdy chipboard base….so it would look equally lovely displayed on a wall or on a shelf on a plate holder. Really Reasonable Ribbon Supplies~Chevron Striped Twill in Pink, Silky Crush Ribbon in Pink, Pink Cottage Roses, White Sweetheart Blossoms. 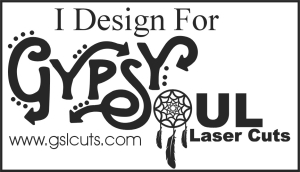 Gypsy Soul Laser Cuts Supplies~Words & Phrases 2, Flourish Open Circle Large. Polly’s Paper Studio Supplies~Vintage Photo Chalkboard and Shabby Pink Images, Every Picture Tells a Story Frame. Okay now it’s your turn to create a fabulous Show Me The Pink Project and link up with us to play along. Hey there Paper Peeps! Ginny here and I’m dropping in to share a super charming and whimsical Butterfly Gypsy Wagon Shrine. Wow that’s a mouth full! I picked muted colors and added shimmery metallic mists to finish the chippies. A lot of extra dimension was added with texture paste and spacers inside to adhere the focal image. Other Supplies~ Ranger Perfect Medium, Distress Ink~Wild Honey, Distress Stain~Picket Fence, Faber Castell Whipped Spackle, E 6000, Aleen’s Tacky Glue, Tattered Angels Mists~Hemlock Green-Walnut Gold-Suede-Iridescent Gold, Art-C~Metallic Gold-Metallic Silver-Ultra Chalk Paint White and Turquoise-Chestnut Gel Stain-Steel Luxe Paint, Metal Heart Charm, Gold Burlap Twine, Tiny Mulberry Roses, Wow Glossy Embossing Powder, Amber Bling.